Hello and Happy Monday! How was your weekend? Mine, was fabulous! I celebrated my thirty, well thirty something birthday. I'll just let you guess how old, I mean young I am. Anyway I am finally ready to reveal my new Beautiful Bathroom! It took a while but slowly and surely it has come together quite well! I loved this bathroom back 12 years ago, lol. 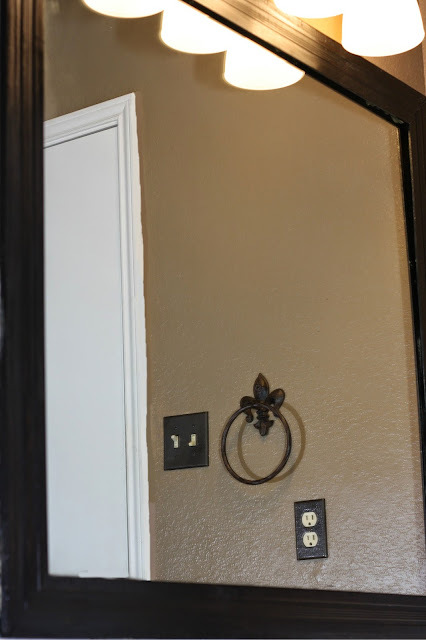 painted it Toffee Cream color. Then I framed my mirror. Then I spray painted my faucet. 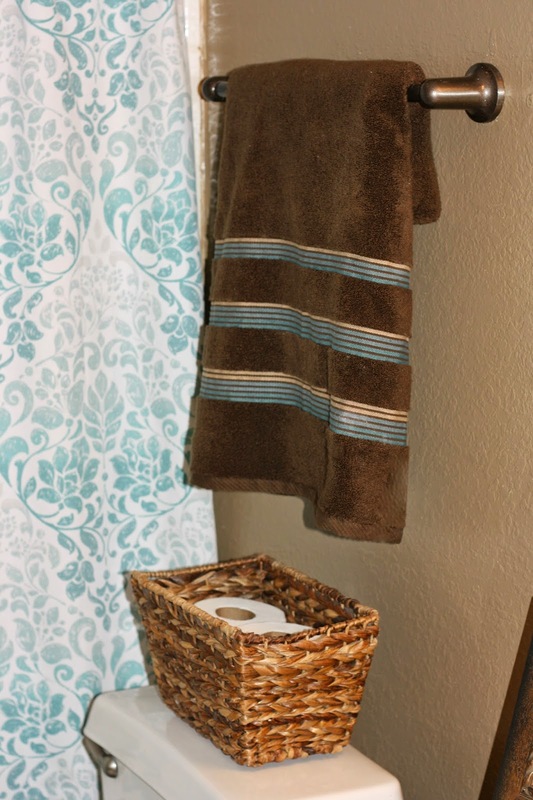 holder, towel holder and shower curtain rod! I made some signs for my bathroom. I bought a new curtain and new shower rings. I got a new hand towel holder. Got that at my local antique mall! And I got a new hand towel! Got some new decor for the counter. I made this cute Mason jar liquid soap dispenser all myself! I got a new waste basket! Got this new towel and robe hooks at my favorite antique mall too! Bought this cute basket for toilet paper. And I got a new floor rug. I spent on this makeover? Now I didn't add in the tax, but I will say a lot of those items I bought at garage sales and thrift stores so some of them were tax free! Which is how I got some of those items for so cheap. Most of thrift store and garage sale finds were brand new too! I sniff out those bargains. And thats how you redo a bathroom for $100! Looks great! 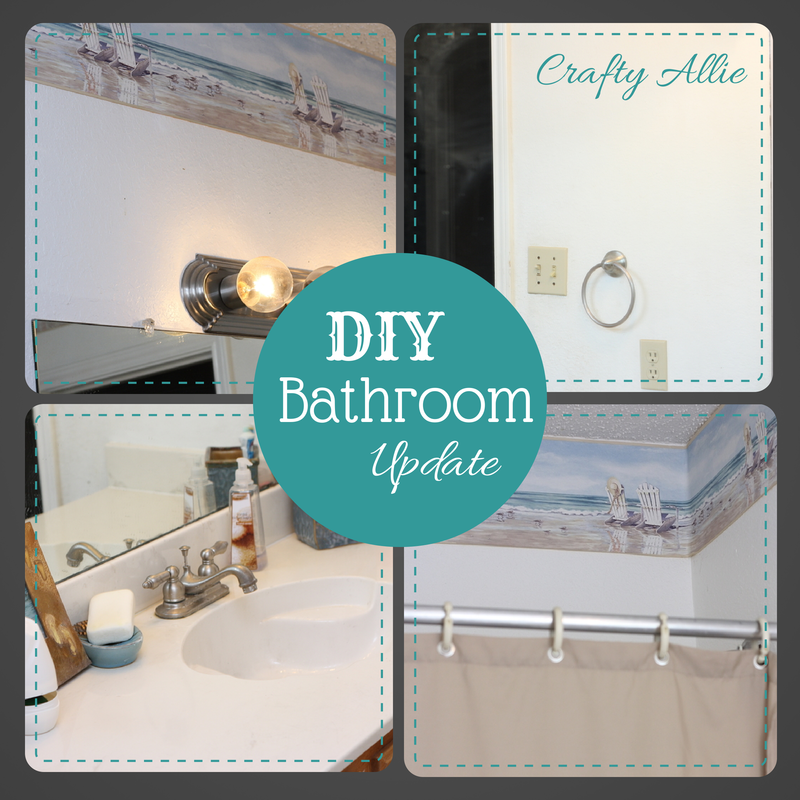 I am redoing our bathroom as well, but we had to completely gut ours. We will hopefully finish next week and I can't wait! Thanks Amanda! I hope you post your pictures of the bathroom. I'd love to see it! Thanks Holly! Yes, quite proud! Haha, I know right. Who knows if my kids even read it though, lol. Thanks so much Dee! Well not only Happy Birthday is in order but your bathroom redo is beautiful. Thank you for sharing with the Clever Chicks Blog Hop! I hope you’ll join us again next week! I've loved seeing each step. It's so great to see the finished product. Great job. Thank you for linking at the In and Out of the Kitchen Link Party. Hope to see you again next week. Great job! I just need to clean my bathroom! Thanks for linking up last week to the Bloggers Brags Pinterest Party. I have pinned it to the Bloggers Brags PInterest Board. Thank you for always having me Tammy! 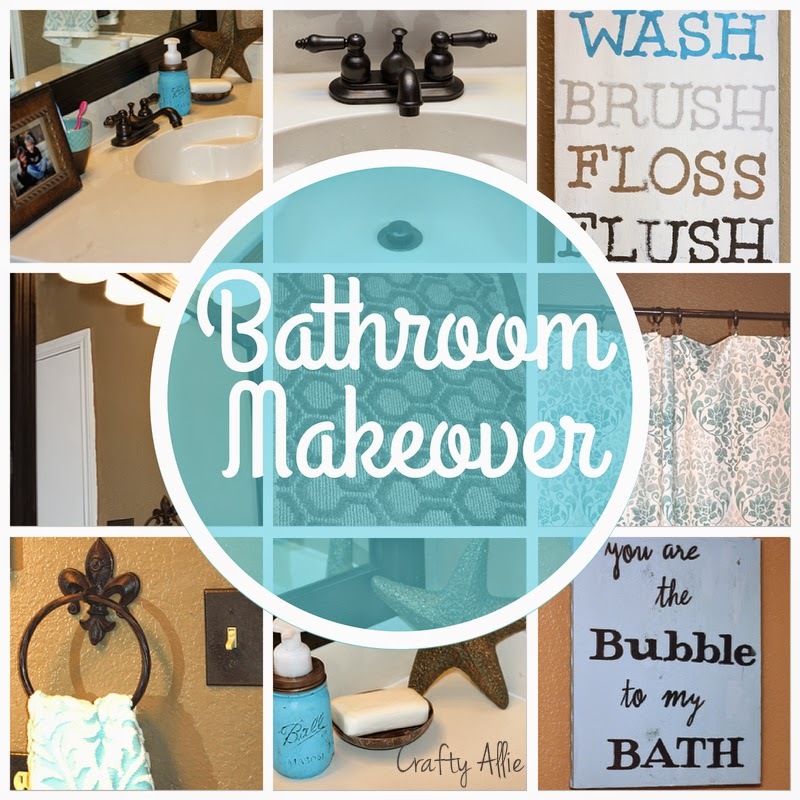 Your bathroom turned out well! And how the makeover only cost you a hundred dollar is quite amazing! Even your color preferences are great! Who would have thought that teal color can be a good pair to toffee cream? Thanks for sharing! How well is it holding up after a year or so? We're upgrading/repairing our bathroom and I'm a little iffy about doing the faucets this way. 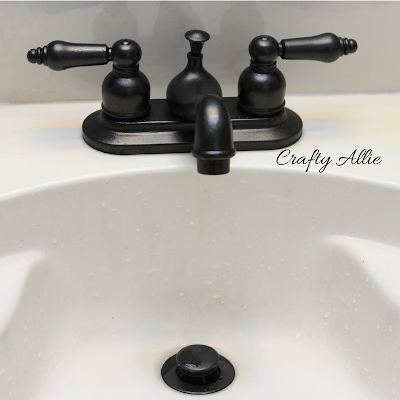 (He wants an oil rubbed bronze faucet he saw in Lowes but the price is scary...so...) What do you use to clean it? I imagine a non-abrasive? Just kidding, but wow, you really know how to fix up a bathroom. Most people couldn't have done this in a million years. I am so impressed! The pictures loaded a lot slower than the text did, so when I read that you spray painted the faucet, I was wondering if this was going to be a horrible thing. Nope! Everything you painted looks gret, you did a wonderful job! Plus you did so much for so little. Definitely impressed, and inspired! Thanks! I have beautifully designed taps at Majorelleinteriors.com and they have attracted me a lot.